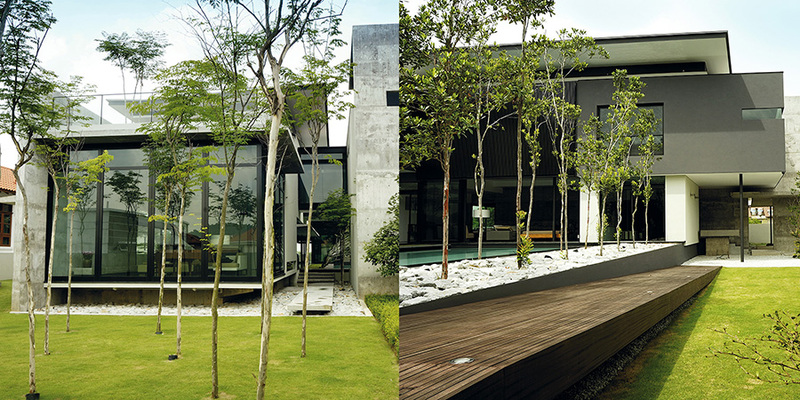 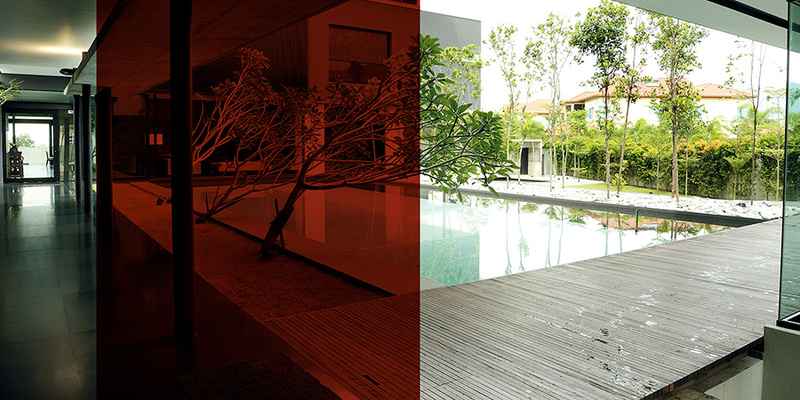 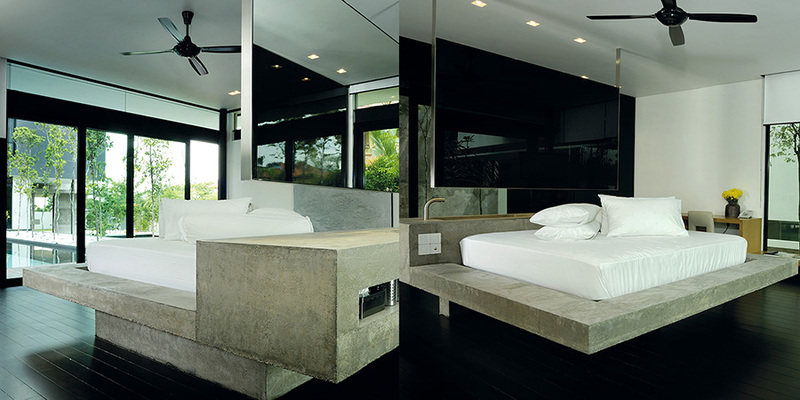 Winner of the 2010 MIDA (Malaysian Institute of Interior Designers) awards in the residential category, the Valencia house focuses on an uninterrupted transition between opposing elements resulting in a seamless flow from the exposed courtyard to the vast indoors, treated in a complimentary blend of modern finishes and raw materials. 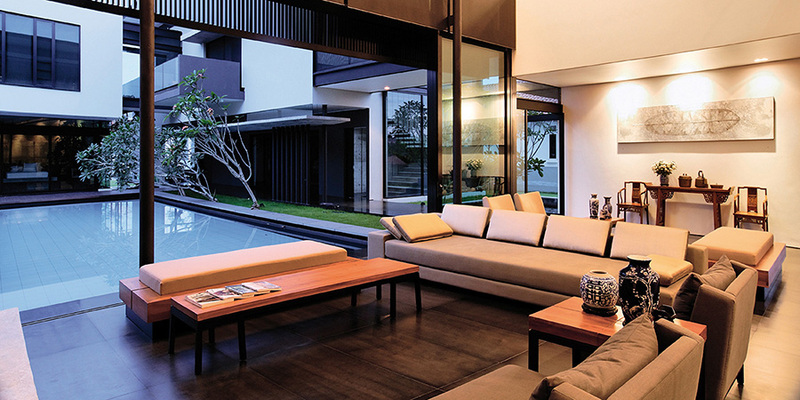 The courtyard is the heart of the home. 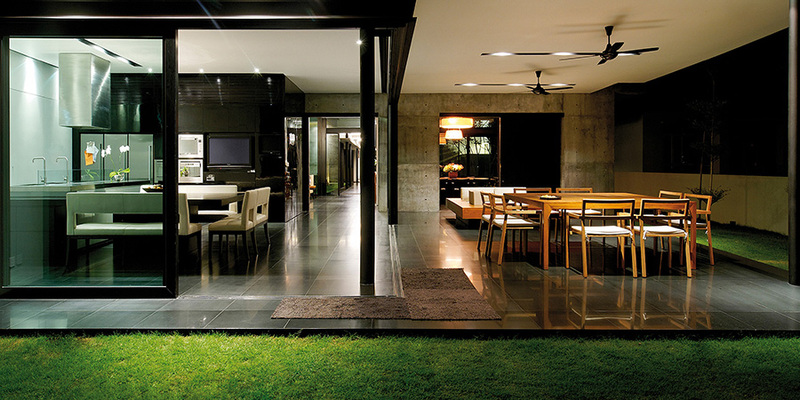 The ground and upper levels comprise of square and rectangular forms arranged in an L-shape surrounding the atrium. 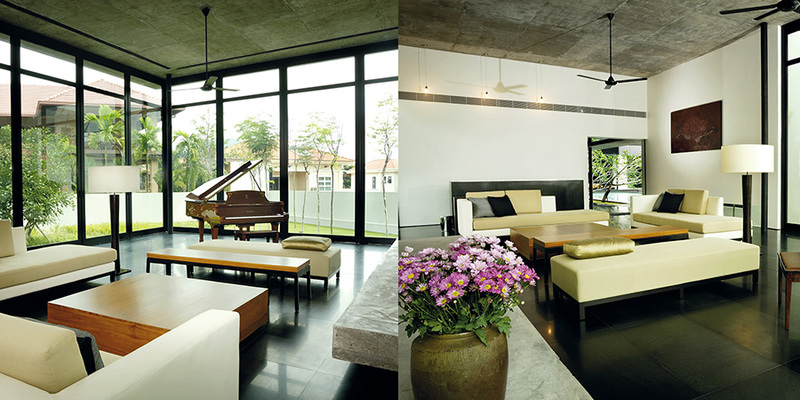 A noteworthy feature is a long vertical off-form concrete wall that cuts through the living room to separate the private and public domains of the house. 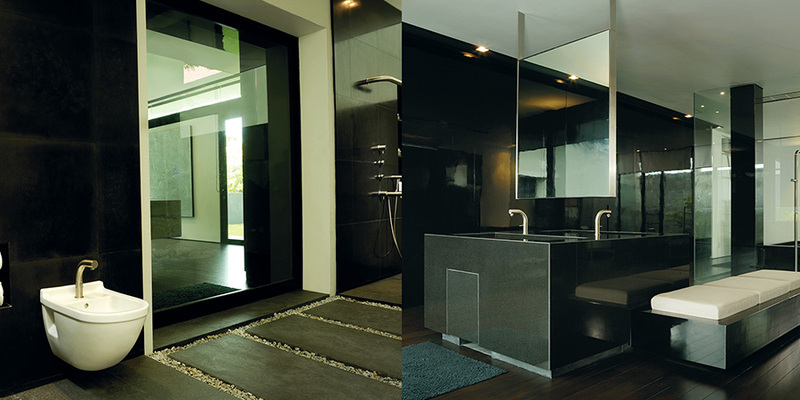 Aluminium, steel, concrete and low-e glass have been detailed precisely to achieve a modern abstract aesthetic. 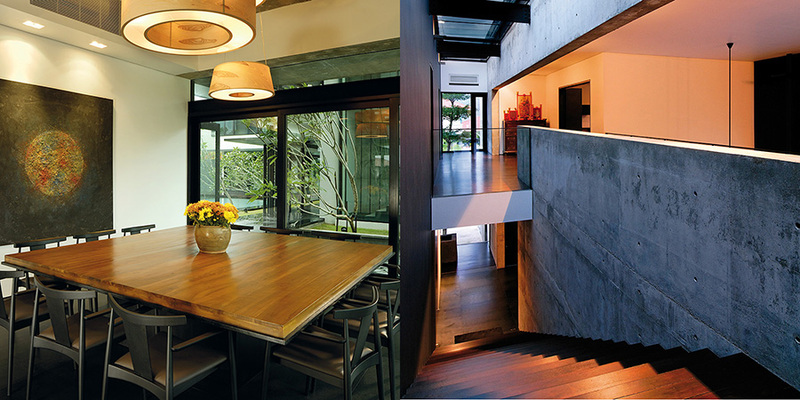 The layout orientation is angled optimally to sun and wind, allowing a profusion of light and ventilation. 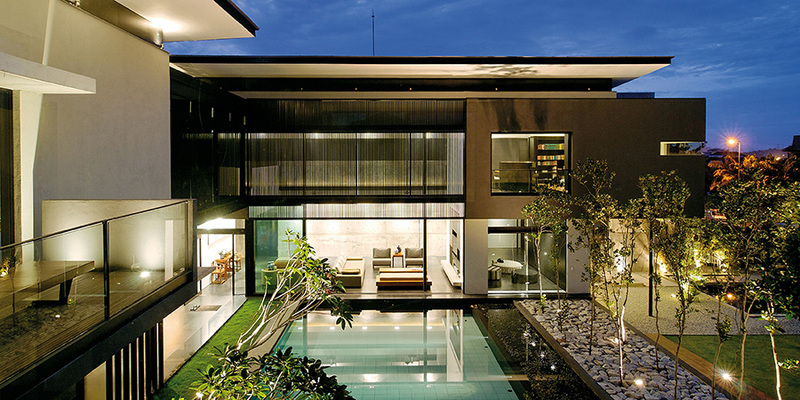 Other features include wide overhangs, roof gardens, water features and outdoor bathrooms.